Many people don’t realize that all USB flash drives are not created equal. Depending on the type of memory they have, their speeds can vary greatly. Being in IT, I have accumulated a small collection of these drives and have needed a way to test USB speed, so I could to see which ones are worth using. I have found the recommendations below are great apps for doing this and I would like to share them with you. The secrets of USB speed drive tests – you will be shocked. I know, I know you’re thinking all these USBs are pretty much the same, well it’s time you found out that it’s not necessarily the case. 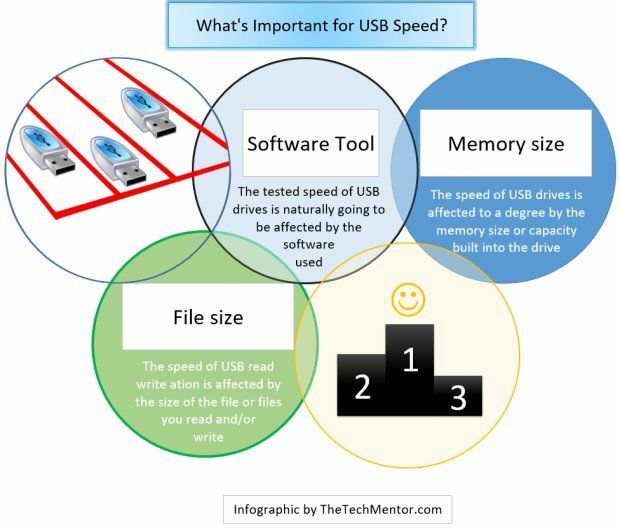 Do you want to know the speed of your USB drive? Are you a buyer for a large company and want to get efficient fast USB drives for the whole business? Do you want to do your own USB drive speed tests? Do you wonder how can you be sure you are getting fast USB flash drives when you shop online? If you answered yes to any of the above questions, then this article is for you. “Winner winner chicken dinner!” Test USB speed with these Apps to find out which of your own USB’s is fastest! Maybe it will help you form a favorite brand. 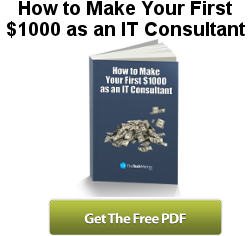 As a computer tech no doubt your clients will come to you to ask you which USB is best for them to buy. If your client asks you which are the fastest USB drives will you feel confident in giving them good advice when they are asking for a recommendation? In order to give them an answer you probably should test some of the USB drives available yourself. I’ll show you how to test and know the speed of different USB flash drives, and give you some USB drive speed data further below, so you can be the Guru for your clients or your company. 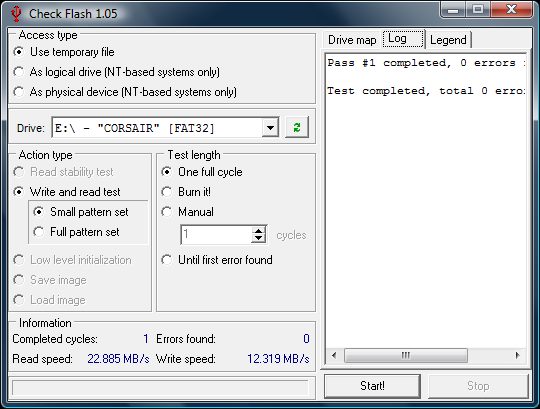 Check Flash is an easy to use flash drive speed testing and error checking utility. 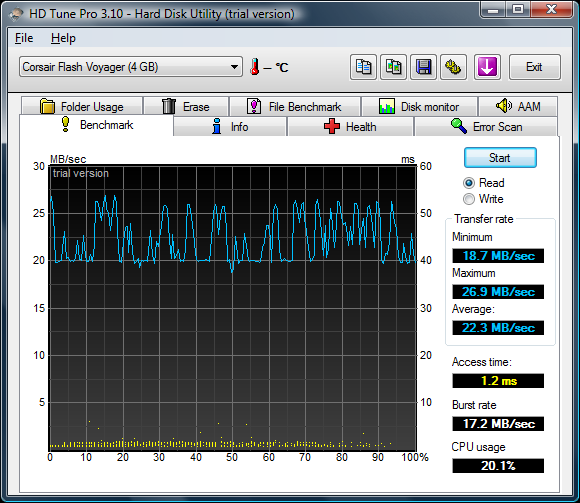 This utility will tell you the average read and write speeds of your flash drive. Note Check Flash is by Mike (Cherkes Mihail) at Mikelab, he is in Kiev in the Ukraine. (How cool!) The real reason I mention this is so you don’t worry if you see Russian text when the page first opens. If so, just look to the top left and click on EN to get the English version of the page. 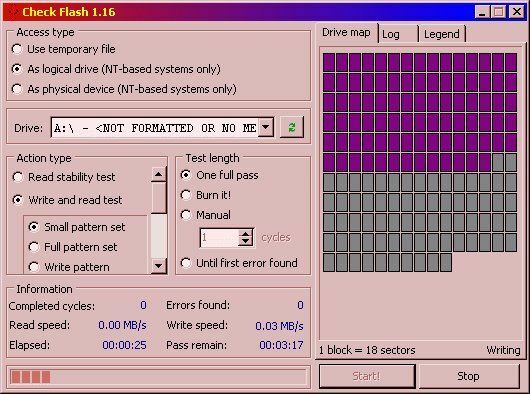 As you can see in the screen copy below, it shows some other useful and interesting things about your flash drive too (other than read write speed), like the drive map to the right. Just to (show off and) demonstrate that I’ve updated this article for you, I’ve got the more recent screen copy of check flash above and the old view of check flash from my original article years ago. This is the simplest (and therefore perhaps the easiest) way to test USB speed. 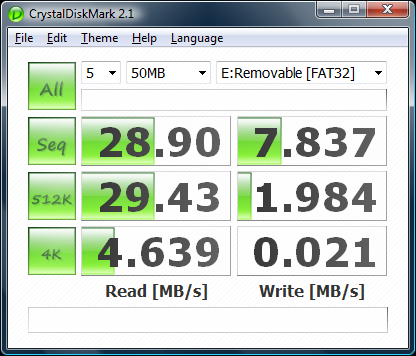 Crystal Disk Mark is a disk benchmark utility that can not only be used on hard drives, but also flash drives. It can perform sequential read/write tests, random 512KB read write tests, or random 4KB read/write tests. It is now up to Mark 4.0 (but looks very similar to the screen copy below, so I haven’t run it to make a new screen copy). Things that have been upgraded are support for Windows 10 and more language support (eg. updated French and Spanish language files). If you are serious then you can get HD Tune Pro, now up to version 5.60 (again the original article screen copy remains below because it looks very similar). In the table to be further below in time I will also provide information around capacity so with the two combined that is speed and USB capacity you can determine an overall rating for best USB drive. So there you have it, three of the best tools for testing USB drive speed. They are CheckFlash, Crystal Disk and HD Tune, the latter two of which are interesting inclusions because you can check USB drives not just HDDs with it. I guess that is the secret I hinted at above. Not all that shocking perhaps. What USB flash drive speed testing utilities do you recommend, if you have tried something other than one of the above? Feel free to answer in a comment below.